Nearly two-and-a-half years after she was reported missing from her Chicago home, Latasha Nevitt (note: some news outlets report her name is spelled Latashia) has been found. A team of water department workers discovered her remains in a Morgan Park sewer basin last week. 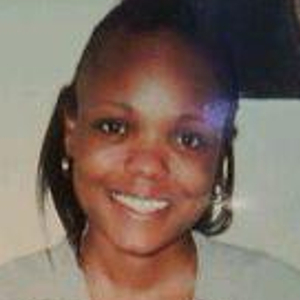 Latasha, a thirty-year-old mother of three and Everest University student, was last seen on October 15, 2011, walking to a convenience store near her home. According to family members and friends, they searched the area thoroughly when Latasha went missing, but they did not search the sewer. Workers described finding the body in a black, heavy-duty plastic bag stuffed in a valve basin in the sewer, a space where workers go to shut off the water main. According to news reports, Latasha’s husband, Isaac Nevitt, watched the recovery of the body from his front porch, approximately 100 feet away from where the body was found last week. He spoke briefly to the media. “Hoping it’s not her, and it’s not her, still praying for the family of whoever it is.” He also told the media that “ninety percent of the people out there” think he is guilty of killing Latasha, but insisted that they are all wrong. Nevitt is believed to be the last person to see Latasha alive. An autopsy could not determine the cause of death and at this time there is no word on if charges will be filed anytime soon.